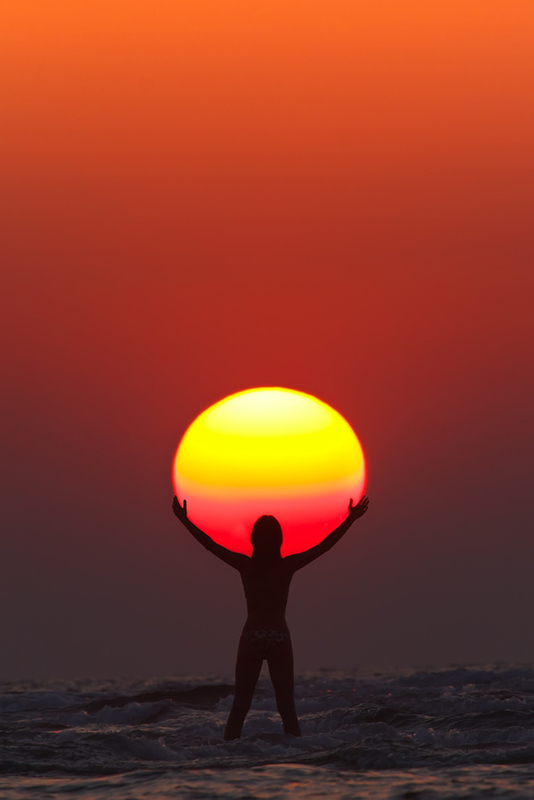 In this perfectly timed sunset capture by Anton Jankovoy, we see the silhouette of a woman appearing to hold/praise the sun. The photo was taken in July of 2011 at Paradise Beach in Maharashtra, India. To get the shot Anton used a FL 600mm at 1/250 sec, f/11, ISO 200.